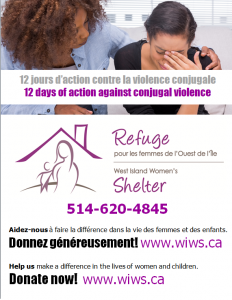 Welcome to the West Island Women’s Shelter Internet Site. Do not hesitate to contact us at 514-620-4845 – 24⁄7. Do you know the difference between A COUPLE’S QUARREL and CONJUGAL VIOLENCE?